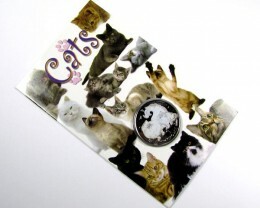 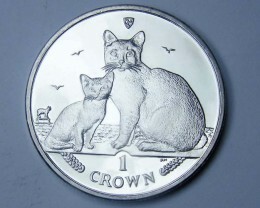 Each year since 1988, collectors around the world eagerly anticipate the release of the new Cat coin from the Isle of Man. 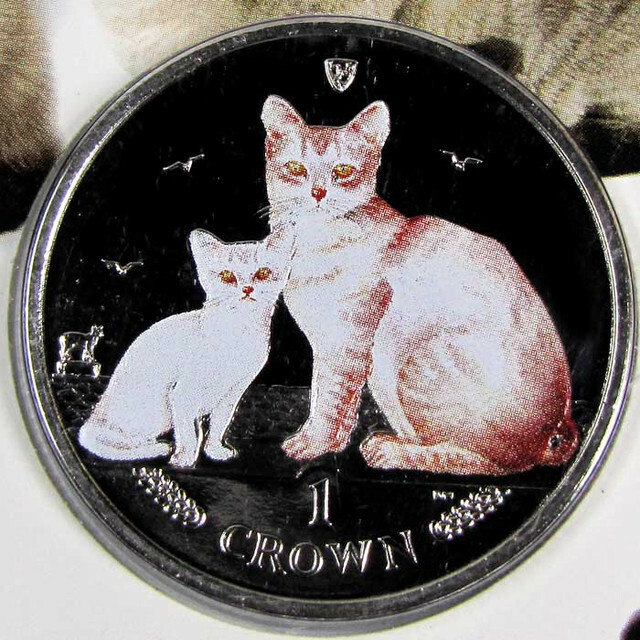 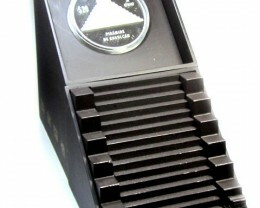 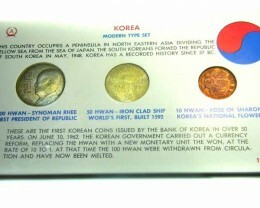 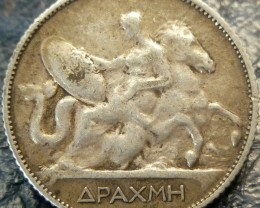 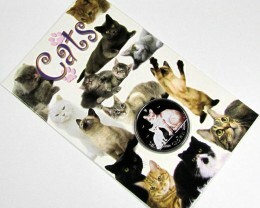 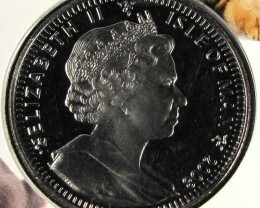 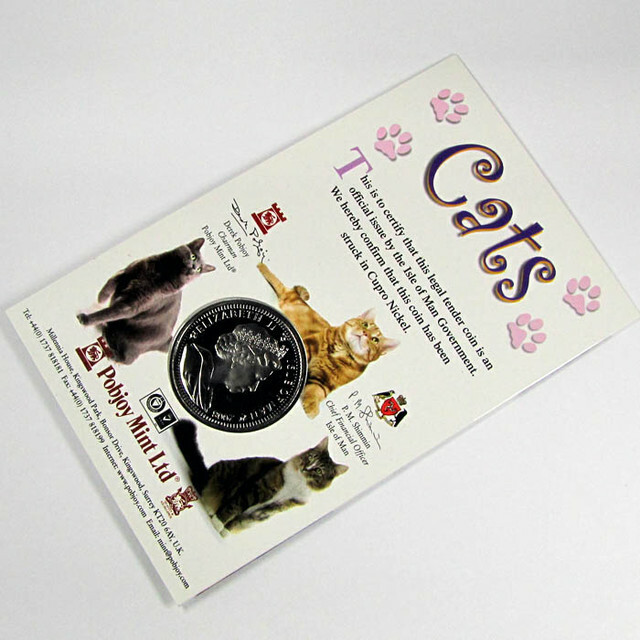 It is among the world’s most popular coins, in part because each year’s coin features a new, one-time-only design highlighting a different breed of cat. 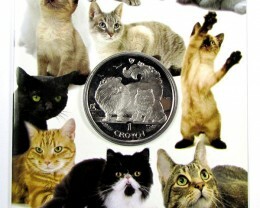 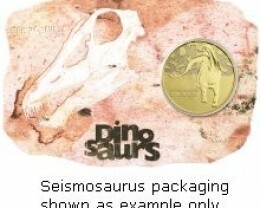 The new 2008 coin has just been released… and you can be among the first to own one. 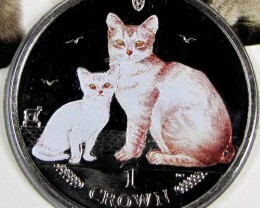 It depicts a stunning Burmilla Cat with her charming kitten. 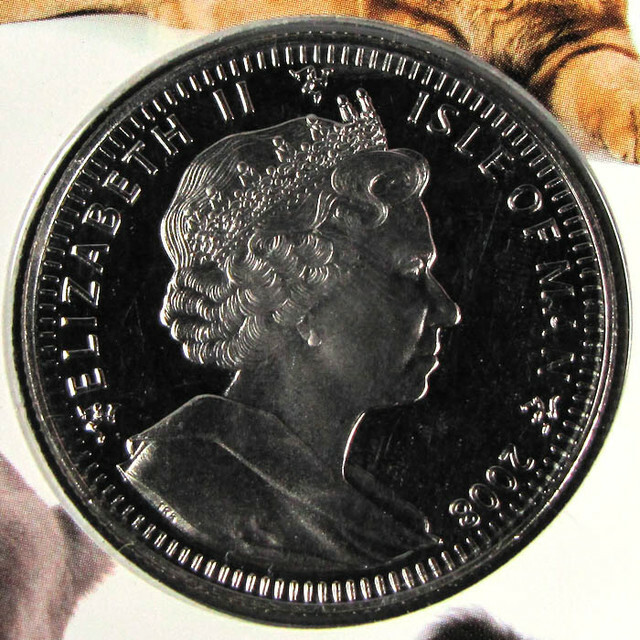 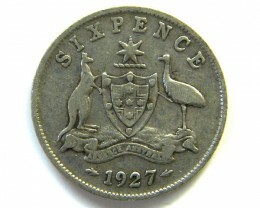 The beautifully coloured versions bring the design to life and create a coin that is even more spectacular. 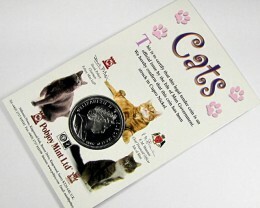 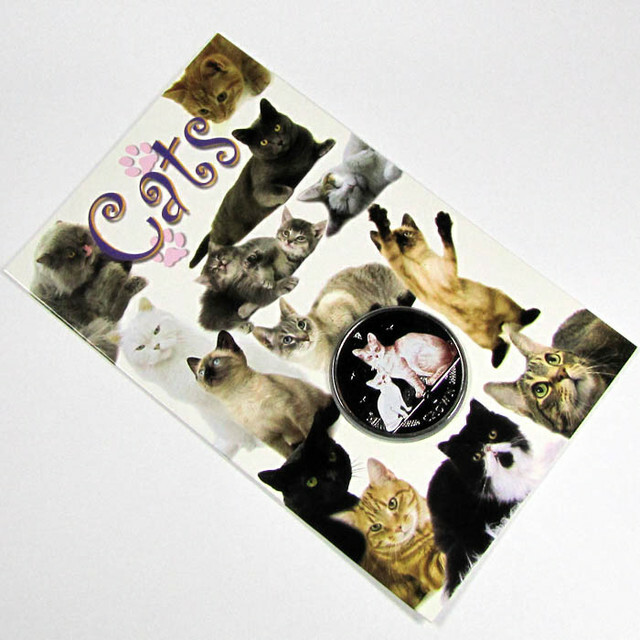 Only a limited number of 2008 Burmilla Cat coins will ever be struck, so order now for yourself and as special gifts for cat-lovers and collectors everywhere!